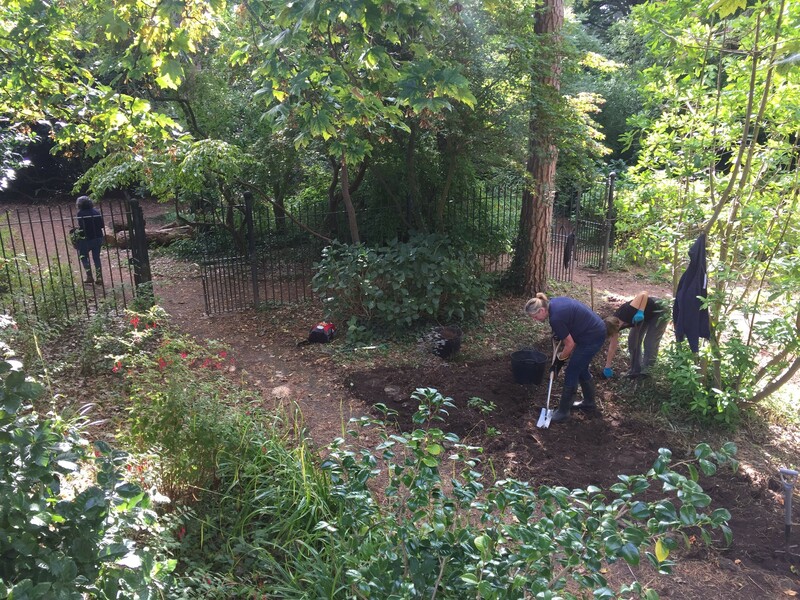 Our treasured volunteers hard at work preparing the ground in the sunken garden. Calling all local garden lovers! Are you are passionate about community garden projects? Do you love wandering around the gardens of Insole Court? Are you a local business looking to give something back to the community? Whatever your interest, you can play a part in helping to transform our gardens this Autumn. Right now, we're kindly seeking donations of ferns, bulbs and woodland flowers to help revamp an area of the gardens to the right of the mansion. Everyone has been working hard in the gardens, supplementing the council’s fabulous work, and we're now looking to the generosity of our community to help us source some items to fill the gardens with. If you'd prefer to offer your free time instead, we are always looking for an extra pair of green fingered hands to help tend to the gardens. The Garden Volunteers have already been busy getting stuck into the earth, armed with forks and spades, to work ground to prepare it for bulb planting. The work has begun in the sunken garden by the mock bridge to the right of the house and this is where we plan to fill with donated spring bulbs and woodland flowers set to a back drop of ferns. As a charity, we rely on the continued generous support of our volunteers, visitors, supporters, patrons and community to keep Insole Court thriving, and we hope you can help us again in any way at all, no matter how small - every bulb helps! Donations can be delivered to our Visitor Centre or delivered to the address below.